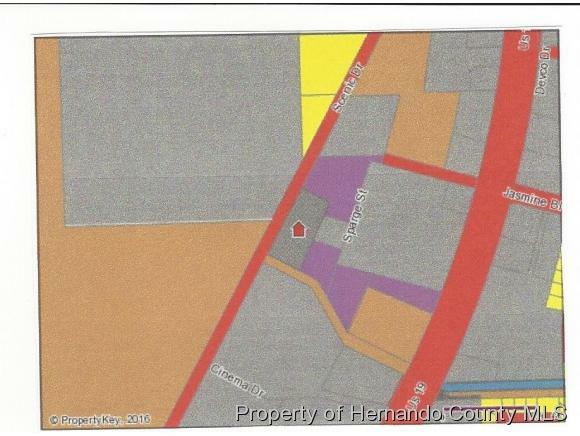 1.77 Acres on Scenec Road just south of Jasmine, adjacent to Regal Cinemas. Property fenced with chain link fence and gate and has security cameras & lights. Produces income of about $700-$800 per month for vehicle storage on a month to month basis. Property would be good for Big Boy Toy Storage or small business office and warehouse. Or buy the warehouse behind and use for expansion. Zoned C-2 with412 ft road frontage.